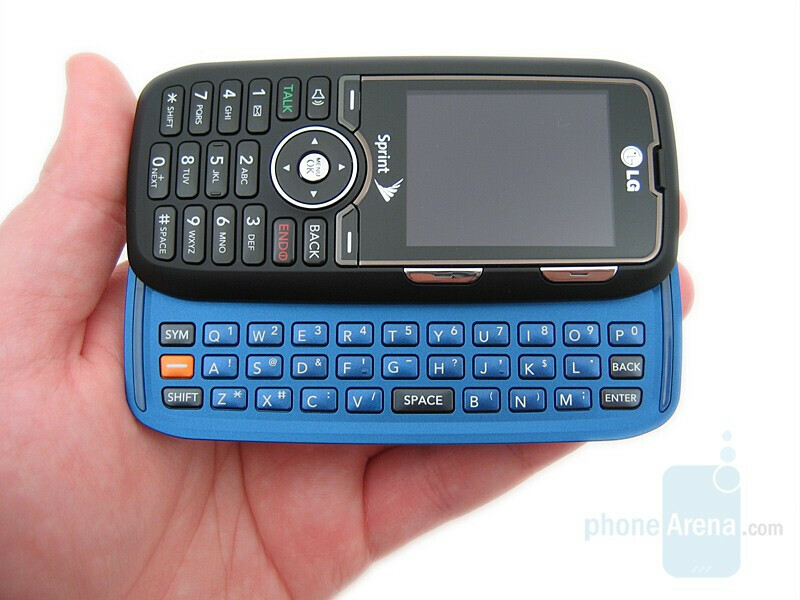 The Rumor comes in two color schemes, black with a blue keypad and white with a silver one. 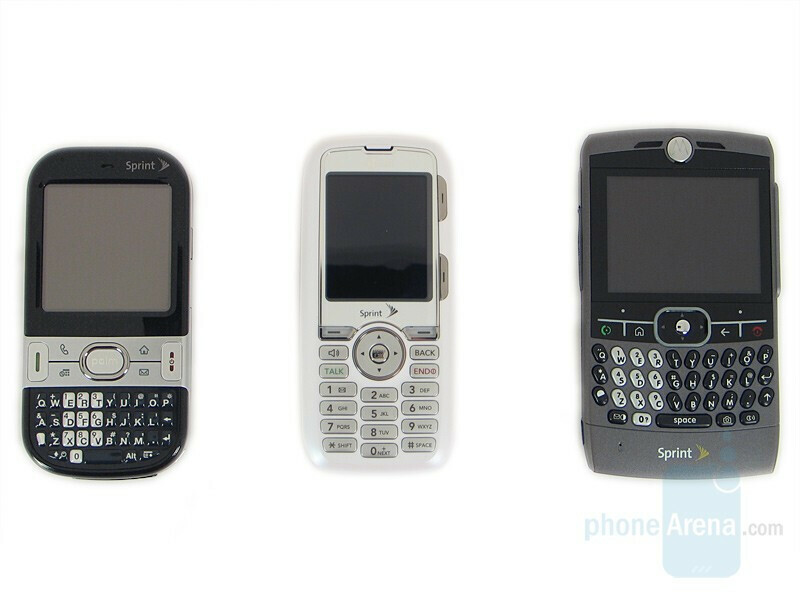 In both variants the phone front and back is the main color, with the secondary color making up the keypad background as well as serving as a trim around the phone. 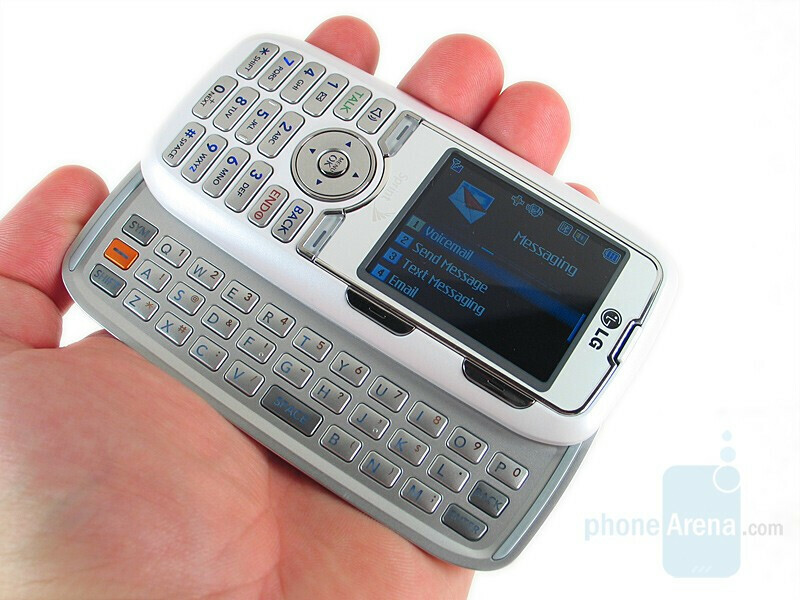 The basic bar design feels good in your hand, and, when compared to other full QWERTY models it is pretty small. The Rumor has a single two inch, 176x220 pixel, 262k color display that features chrome trim around it. The display is crisp, although the dark design of the default menu makes it a bit harder to read in direct sunlight. On the right side of the display are two buttons that are unusable when the phone is closed. 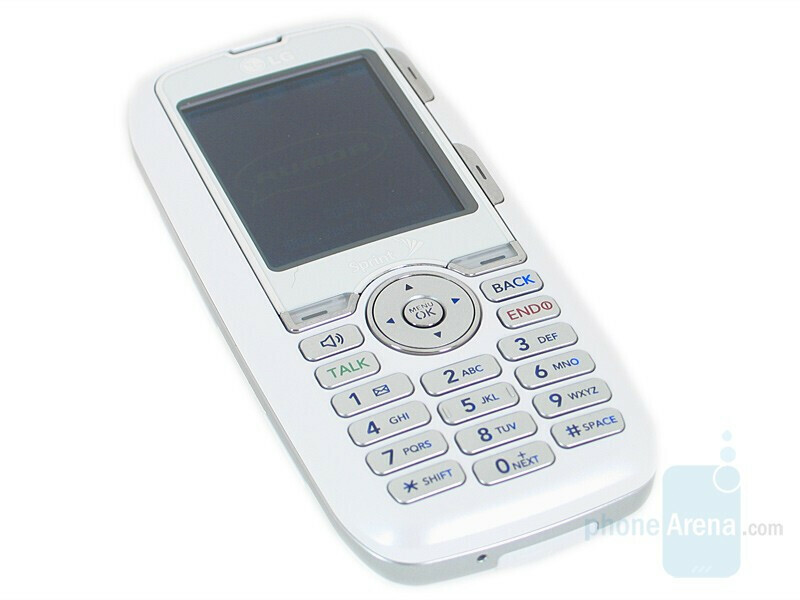 On the bottom half of the phone is a standard key pad, featuring right and left softkeys, a 5-way directional pad, dedicated speaker and back keys, the send/end buttons and a 12 key dial pad. Each key is individual and raised above the phone’s surface, making them very easy to use with great feedback. On the white version the exterior keys are silver, on the black version they are also black. Each key is backlit with blue LEDs. 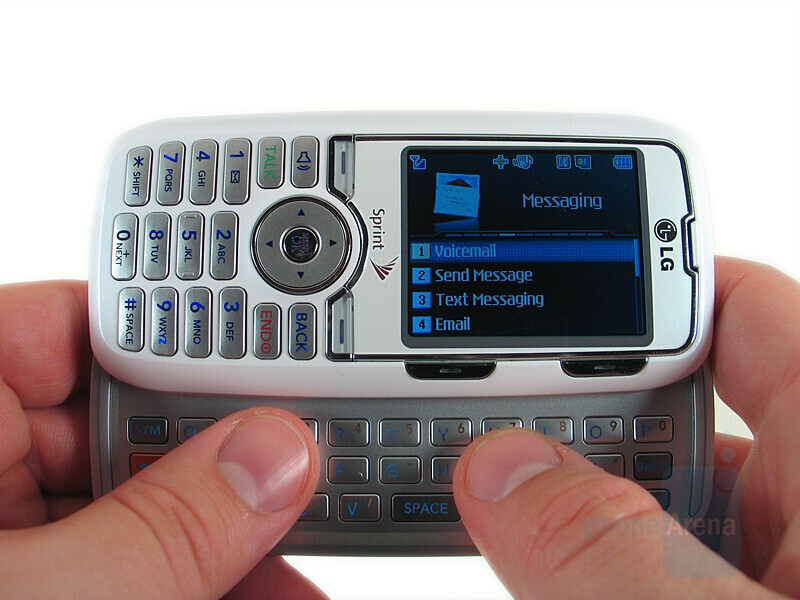 The front of the phone slides to the left to reveal a full QWERTY keypad underneath. The screen rotates orientation from portrait to landscape and the user is taken to the messaging menu. The keys to the right of the phone become the softkeys. The keys of the QWERTY keypad are also raised, making them just as easy to type on. 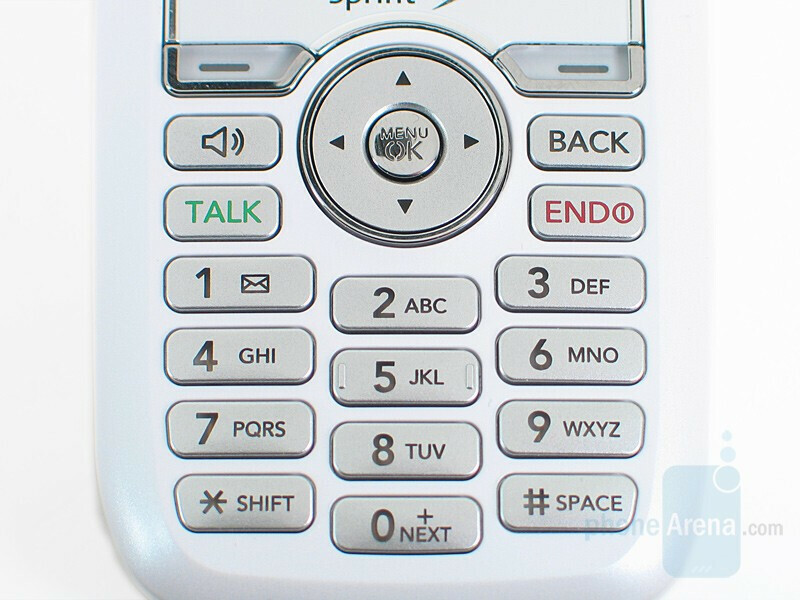 There is no d-pad on the keypad, so the user must use the one on the front of the phone (now to the left of the display) to navigate left, right, up and down. This is a bit awkward, but once you get used to it does not detract from the user experience. The QWERTY keys are backlight white, and the alternate key functions glow orange in the dark. The slide mechanism is spring-loaded, very smooth, and feels like it can withstand years of use. 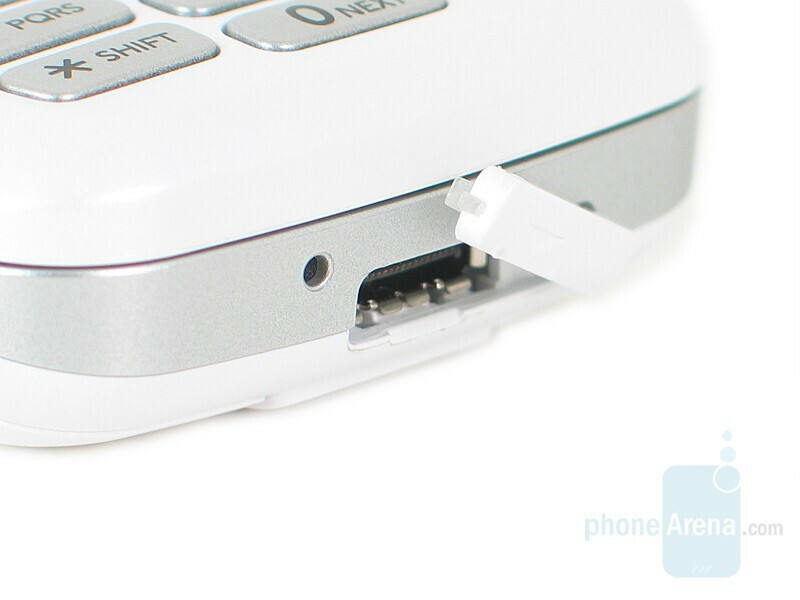 The left side of the phone has a volume rocker and dedicated camera key, and on the right the user will find a 2.5mm headphone jack and microSD slot. 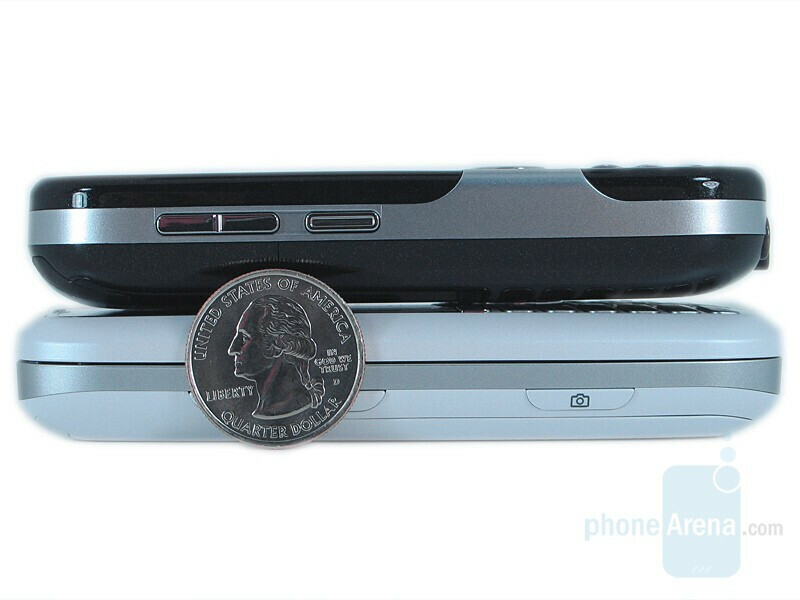 On the bottom is the charging port, which is the same as many other LG’s on the market (LX 160, Muziq, VX-8700, enV.) 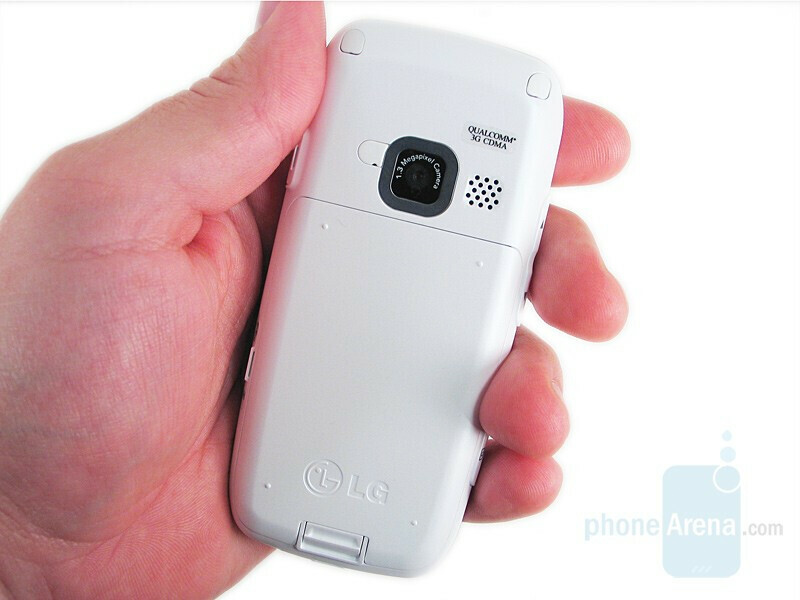 Turning the phone over the user will find the 1.3 megapixel camera in the center near the top, and to the right of the camera the Rumor’s single speaker. 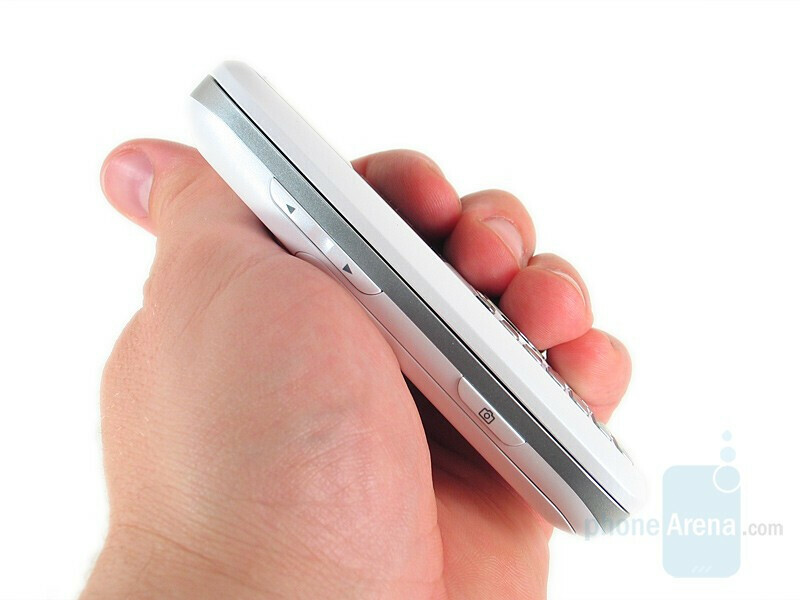 The battery takes up most of the back of the phone, and is a one-piece, molded design. I've had it for about 2 weeks now, and must say... I'm 18, sell electronics for a living, and have friends with alot of tech guys... But also I'm someone who insist on staying connected with the world.... this phone is excellent for that.... Text-messaging is awesome on this phone! Am I missing something? The texting on the phone keypad is horrible. I have to keep changing the entry option to T9 manually. Why isnt there a setting to keep T9 as the default?! And as for the slide out qwerty, it's crap! I'm a fast typer and the keyboard can't keep up whatsoever. 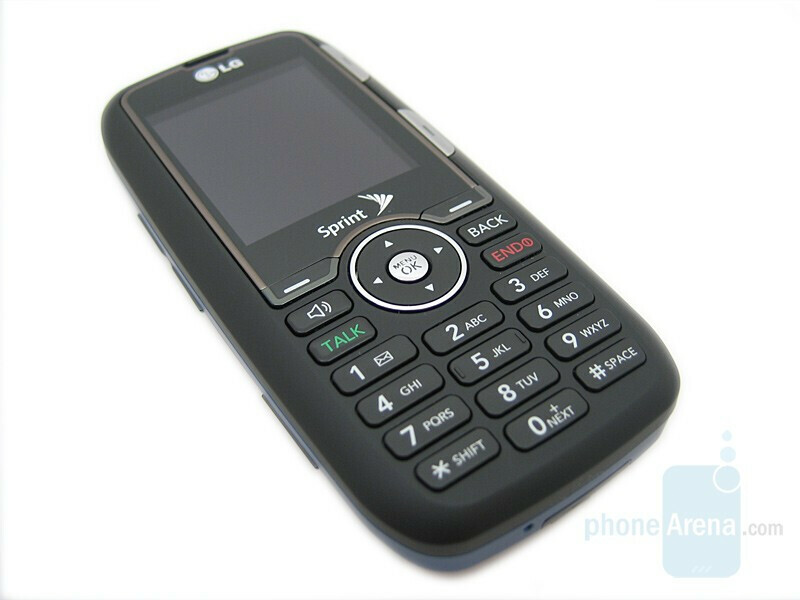 I don't see why the LG 260 has the moniker of "texting phone" when it doesn't live up to the "texting" part. This phone does only basic functions. I do agree the things it can do it does well such as texting and IM and email. The phone has lots of problems such as the screen going black, phone restarting by it self and browser problems. on top of that the my content manager doesnt work! sometimes it freezes up or randomly restarts. I've also had an issue of receiving IM text notifications when i was NOT signed in on my phone. The phones browser is extremely limited. as far as navigating and media support. (cant download images or zoom in or view videos) The media player is a joke. my old samsung trace had way more options. You cant choose files to play it just searches your phone for all media except of course videos which you have to go into settings/tools/memorycardbrowser and actually select the video. also there is no eq no way of managing your files either. cant go and play a file from your memory card. you cant move items from your card to phone or vice versa unless you take the picture yourself. you cant use mp3s as ring tones unless you get them through sprint. Yeah this device is GREAT if you just want to email, chat, and stay connected. but if your someone looking to get a little bit more out of there phone this is NOT for you! I'm just angry that the guy who sold it to me didn't know what he was talking about and i didn't do my research first. I have had my phone for two months now. I text alot and get online everyday on the phone. It has started rebooting itself when I'm in the middle of something. I have a friend who also has a Rumor and she said hers is doing the same thiing. She called sprint and they said it was a "known problem" and sent her a new one and it is doing the same. They have agreed to exchange her phone with a different model. I received my 2nd Rumor less than a month ago. The first liked to turn off on its own. Especially when I was using the Qwerty key board. Then it started doing it when I would take pictures as well. So now a month into my 2nd one and from 3 days after I got it, the problems started. keys not responding, the slide not responding, and cutting off. I wanted my provider to replace it with another phone and they said there is a 3 strike rule. LG should be ashamed of marketing a phone with obvious tech issues. I have the phone but I have tmobile service. I am trying to see if the phone can be unlocked and be able to be used with Tmobile. Anyone have any idea? Horrible!!! Okay, I got the phone in May and it was amazing!!! I mean it did everything I thought it was going to do and more. It was an amazing phone and I loved it. In late August it started acting weird. Sometimes the screen would be fuzzy and I just ignored it. Like a week later it started acting up again and it went downhill from there. The screen went from fuzzy, to being like a bad T.V channel and rolling up and down on the screen, then it went black, and finally the screen went all white and it has never gone back. So if your the type of person who gets a new phone every few months then go for it, this phone is for you. But if you like to keep a phone for more than 4 months then think about a different phone because you will get frustrated with this phone. I have heard that not all of them do this, but a good percent of them do. COMPLETLY A WASTE OF MONEY!!!!!!!! 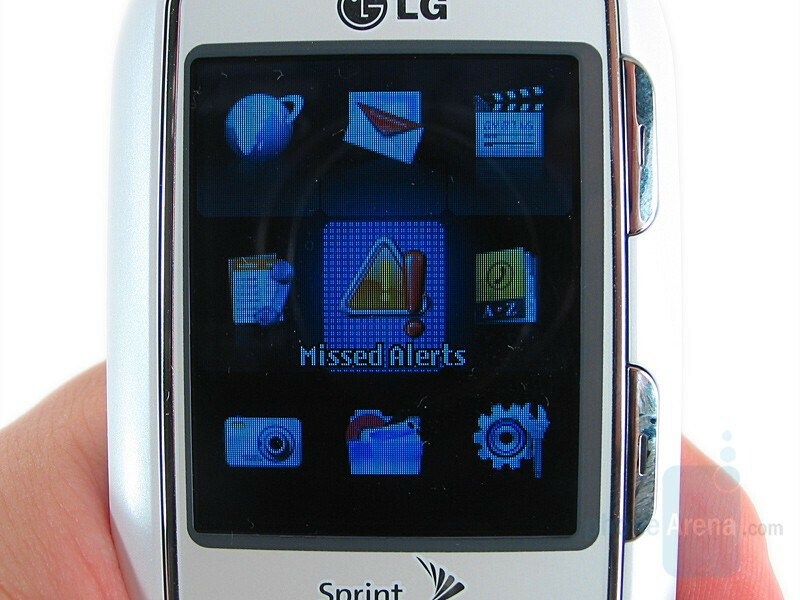 i loved this phone when i got it but its an awful phone. This is my 3rd lg rumor in a year. I text a lot so I thought the rumor would be the phone for me. However, half of the keys on my phone are broken. If I drop it, it randomly shuts off. If my phone dies and I don't have a charger I can never turn my phone on again because the back button is also broken. I find this phone highly annoying and it isn't advanced at all. I like the style of the phone and the menu layout but there are no favorites. The camera on the phone is absolutely terrible; the pictures in the morning and at night are very bad. My phones screen has random dark patches. 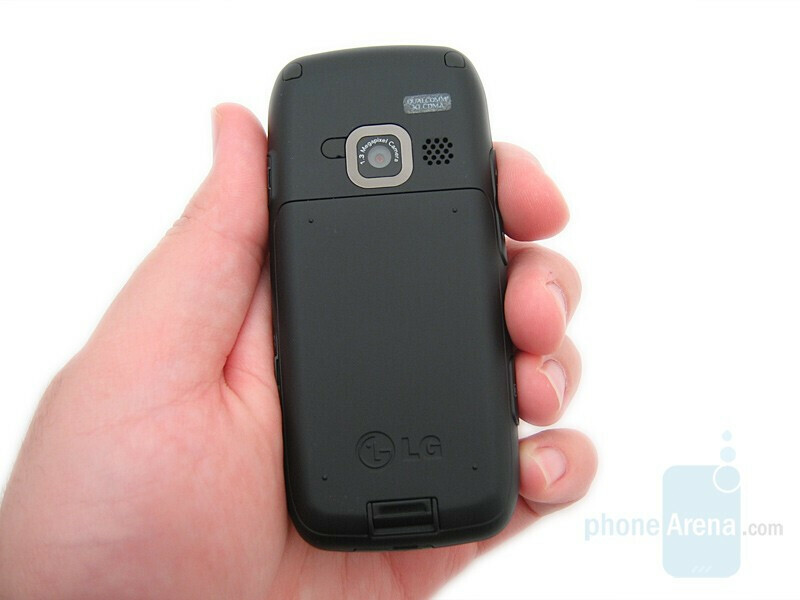 In conclusion this phone has a cool design but not durable AT ALL. I would not recommend this phone to anyone. The phone is working great! I have it with kajeet and it is still awesome! Is it possible to personalize text message alerts ?? Meaning, if a message comes through from a contact will it say the persons name in addition to "Message received"